Step out of your door ready for adventure in Canada’s Alpine Village. 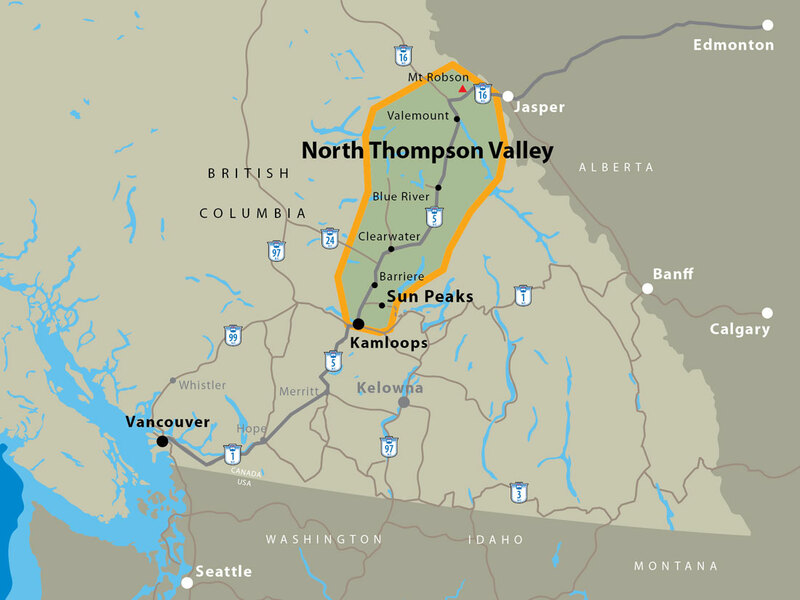 Sun Peaks Resort is a short, scenic 45-minute drive from Kamloops in the North Thompson Valley of BC’s Interior. This alpine village is nestled between three separate peaks and rests amid the Cariboo and Monashee Mountain ranges. 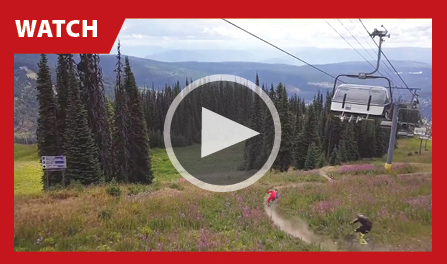 Visit Canada’s second largest ski resort in summer. You’ll find a haven for hikers, mountain bikers, music lovers and families. Pack your skis for a visit in winter. The entire village is ski-in, ski-out, and surrounded by 4,270 acres of deep, dry BC powder most skiers only dream of. Sun Peaks has earned a lofty reputation as a family-friendly, affordable ski destination. It’s where the snow quality is matched with its award winning ski-in ski-out village. Travellers all the world over descend on Sun Peaks every winter indulging in endless runs down 126 separate alpine trails and terrain park, or to take part in the Winter Okanagan Wine Festival. 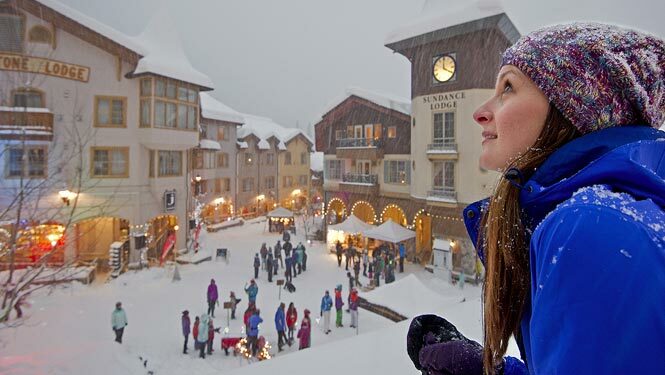 The pedestrian-only village is the heart of Sun Peaks Resort. A stroll through the village will deliver you to the adventure of your choosing. Let the waiting chairlift whisk you up to the summit of Tod Mountain. There are few line-ups around here. Take full advantage of the unlimited access to carve fresh tracks untouched snow. Snowshoe or cross-country ski through the quiet forest on 35 kilometres (19 miles) of groomed Nordic trails. Pound out the snowbanks on a guided snowmobile run. At the end of the day, unwind in a steaming hot tub. Feel snowflakes fall on your shoulders as you soak your cares away. A wonderland in winter, this resort really lives up to its name come summer when bluebird skies and bright sunshine light up the mountains. Bring the whole family for mountain adventures that create memories to last a lifetime. You may come for the snow, but you’ll come back for the summers. Those same alpine slopes morph into endless hiking and mountain biking trails. 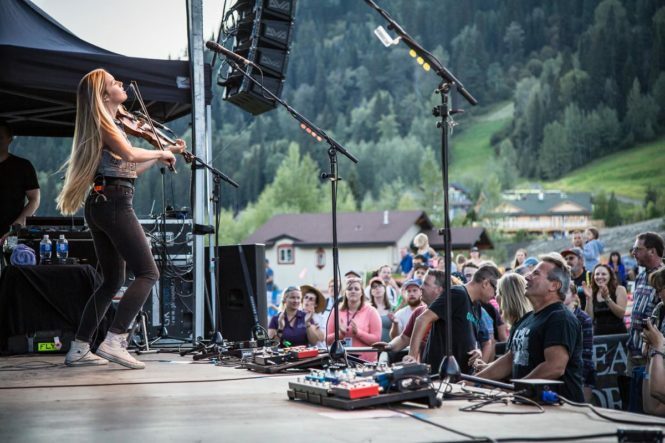 The village square becomes centre stage for Sun Peaks’ legendary Summer Concert Series. You can also step back in time and into a canoe with a Voyageur Canoe Tour. Paddle the routes once taken by pioneers and explorers. Watch for wildlife along the way. Finish up your day with a meal in the forest! 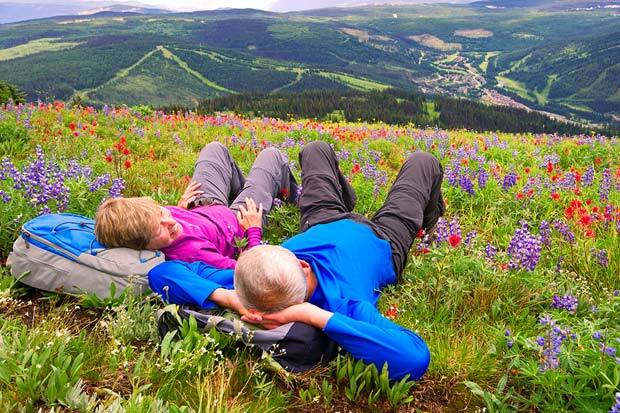 Close your eyes and let the floral aromas of the alpine blossoms wash over you as you ride the chairlift to the alpine. Take your time as you walk along flower-strewn cliffs, silent forests and alpine meadows. Make sure you’re here for the Alpine Blossom Festival at the end of July. Entertainers, activities and Mother Nature are waiting for you there.